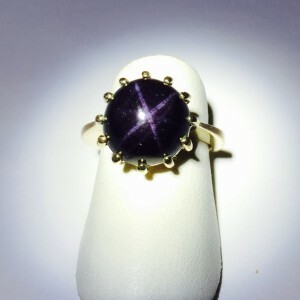 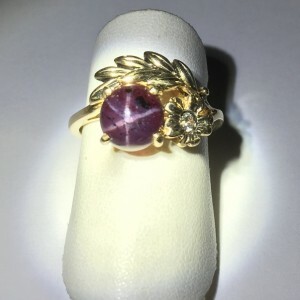 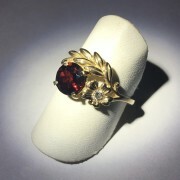 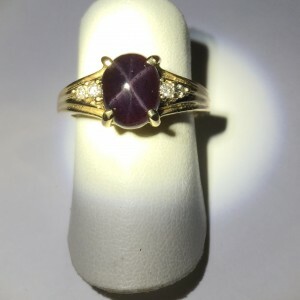 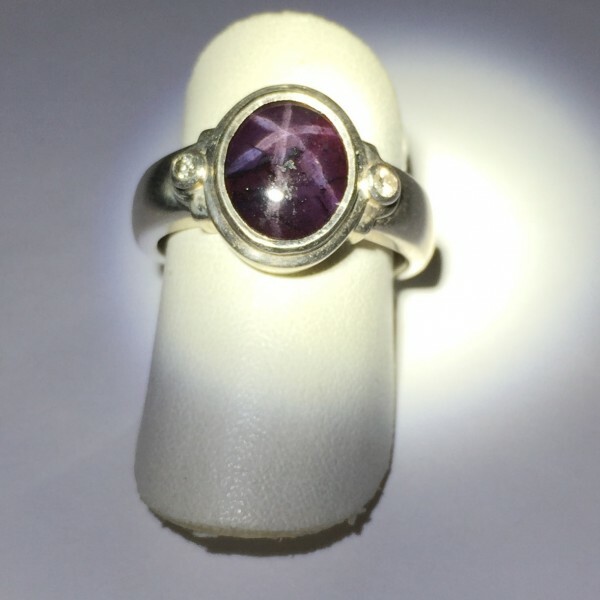 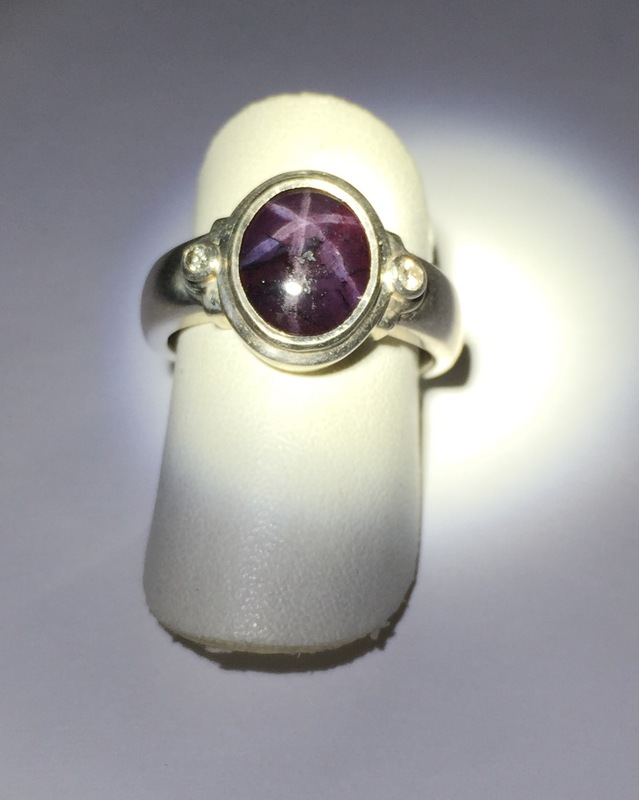 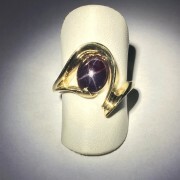 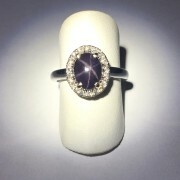 Great Star Garnet ring for the active person. 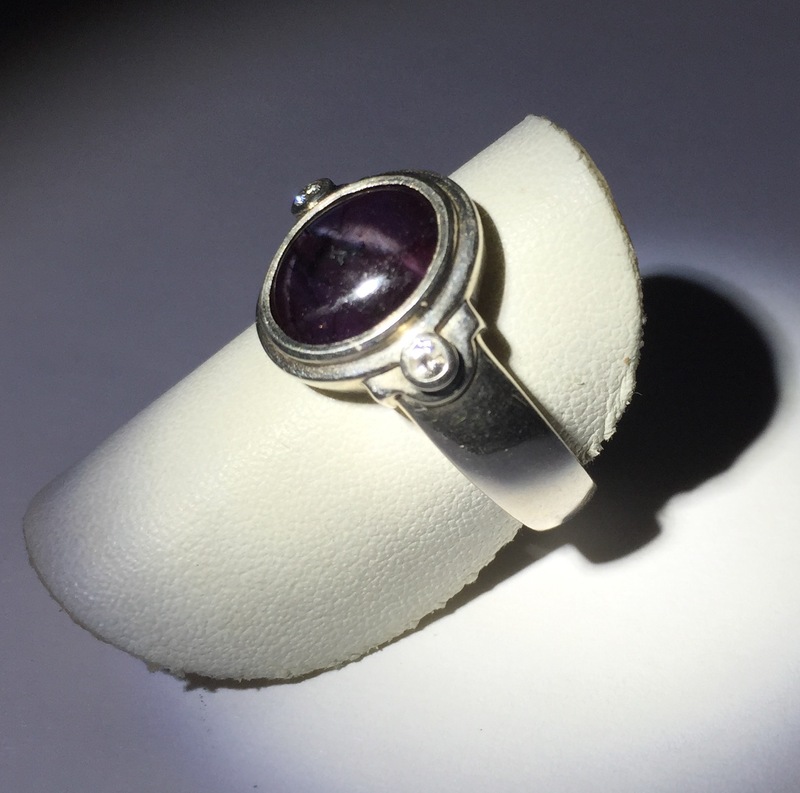 Nice low profile with a heavy sterling silver mount. 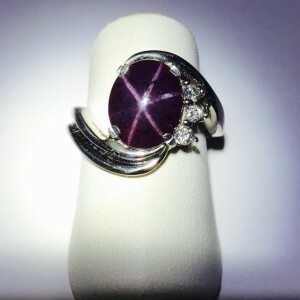 The star garnet is a 9×7 oval with six rays. Each of the 3pt diamonds is set in a bezel for a nice clean look.